As users increasingly migrate between multiple devices during their consumer purchase journey, DSPs are burdened with the task of proving campaigns effectiveness to their clients. When conversions and actions take place on a device outside of the one that the DSP served an ad on, they do not get credit for driving that engagement. Intent IQ’s dynamic device graph identifies multiple user identities and merges them into a single profile, enabling advertisers to target, engage and attribute users across devices. The path of a user purchase journey often spans across multiple devices. 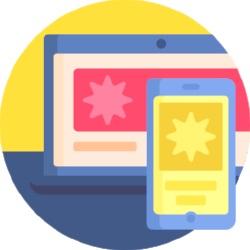 We have the ability to identify multiple devices that is accessed by a single user (mobile phone, desktop, laptop, tablet and TV), allowing advertisers the ability to retarget users on any type of device. Users often initiate their search for a product/service on one device and end up converting on another device. Our attribution and engagement tracking allows brands to recognize the impact of how marketing efforts on one device could lead to conversions on another device. The Path To Purchase Insights is an analytics tool that aggregates all the impressions, actions and conversions by users who have interacted with a campaign. Advertisers can review a breakdown of all the different routes that users are engaged with the brand. This tool will allow advertisers to identify the journey of their users and optimize to the path where the most engagement and conversions are occurring.